"Property Prices to Fall by 40%… Sell everything and run!" You are here: Home / Property Investing / "Property Prices to Fall by 40%… Sell everything and run!" Crazy way to get your attention. But the subject line to this e-mail is what a highly respected professor of economics reported to the media in 2009. The name of the Professor is Stephen Keen and he certainly made a big name for himself by predicting that the extreme property market was going to fall by 40% last year. Stephen was so certain that he went public and told everyone that he was going to sell his complete real estate portfolio, including one property in Surrey Hills, Sydney. I'm not so sure whether it was a property that he lived in, I'm guessing it was probably an investment property. Now having a quick look at the growth of Surrey Hills in 2009 of 8-10%, and I see that Professor Keen probably cost himself about $50,000. To be fair to Professor Keen, he is no dummy. He did predict the global financial crisis and for a large part he got that absolutely spot-on. So you're probably wondering how he got the prediction so wrong when it comes to the Sydney property market. Okay fair point, the increased grant has certainly inflated house prices but it would be a gross exaggeration to say that this prevents a decline in house prices of 40%. So where did Mr Keen go wrong? For a start, he neglected the supply side of the market and the growing shortage of dwellings putting an upward pressure on prices. Add to that 40 year lows in terms of interest rates and a steady flow of migration plus a few other factors …and what we saw was not a disastrous real estate market but one that actually outperformed all other asset classes significantly. I think some folks are still oblivious to how big the 2009 real estate market really was. The five suburbs that experienced the highest house price growth in 2009. These numbers are huge, anybody who is smart enough to understand the fundamentals that underpin property investing would have made a lot of money last year as an investor. Surely it can't be the same as last year and the market will have to correct itself..? Well this year it is a different kettle of fish and some markets are likely to go down rather than up. However, there will be strong areas to invest in and these may surprise you. 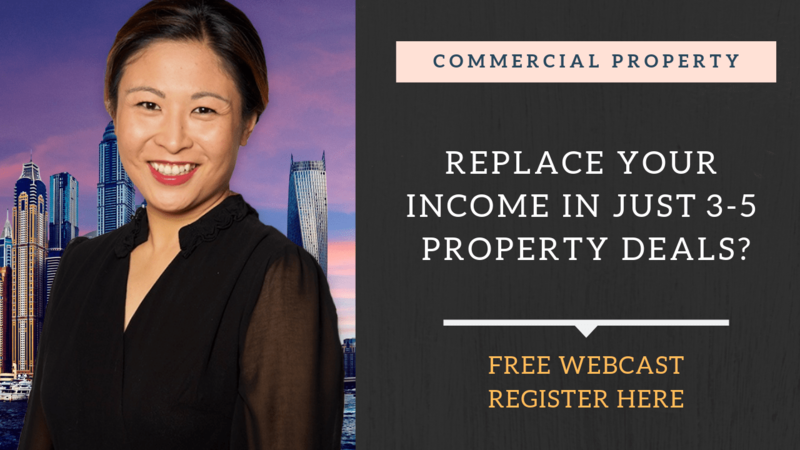 You can find out exactly what you can expect from the 2010 real estate market by attending a full-day training event with our resident real estate expert, Dymphna Boholt. Dymphna predicted the 2009 property boom and had you followed her advice you could be sitting on a substantial capital gain. In most cases that gain would equate to two years salary. Interestingly, the two cities that she predicted would have the highest growth in 2009 were Melbourne and Sydney. The latest figures just released show Melbourne's growth was at a whopping 18.5% and Sydney at a healthy 12.3%. I'm sure you want to know what her views are and how each city will perform in 2010. She will reveal all this with valuable information at her live events. But be warned, Dymphna's events typically book out fast once the word gets out. So here's the deal, as a subscriber to Knowledge Source we've set aside 150 complimentary tickets. That means free for you and you can claim one of those right now by going to be following webpage. Looking at buying an investment property, not sure where in Oz. Can you give some advise. As we all know by now, or atleast I consider 2 things are very important in buying a property are LOCATION & BUDGET. Growth areas are all around us but whats important is ownership of the property which doesnt affect your bank balance. Growth is all around US, we just need to have a keen eye, for a bargain. Hey guys, My name is Vicky Xiao and I am now in Madrid, Spain. Have you visited any website that is quite the same as this ESL learning site. I do not want to spend money, appreciate if you let me have the link to any such free directories. Cheers. Take a look at Ayr and Home Hill in QLD. Vibrant towns 1 hour south of Townsville. Ayr has all 4 banks, Coles, Woolies, McD, KFC etc etc. Home Hill is nearby and is an attractive, albeit quieter town. Houses start around 150K and rent returns are quite high. Strong agricultural areas with plentiful water supply – I like to invest in “food” areas.